On Thursday, the Supreme Court of Appeal handed down a long-awaited judgment on whether the SABC was within its rights to ignore the public protector’s finding that chief operating officer Hlaudi Motsoeneng should be suspended. The public broadcaster is left with egg on its face, while there must have been corks popping in Thuli Madonsela’s office. By REBECCA DAVIS. 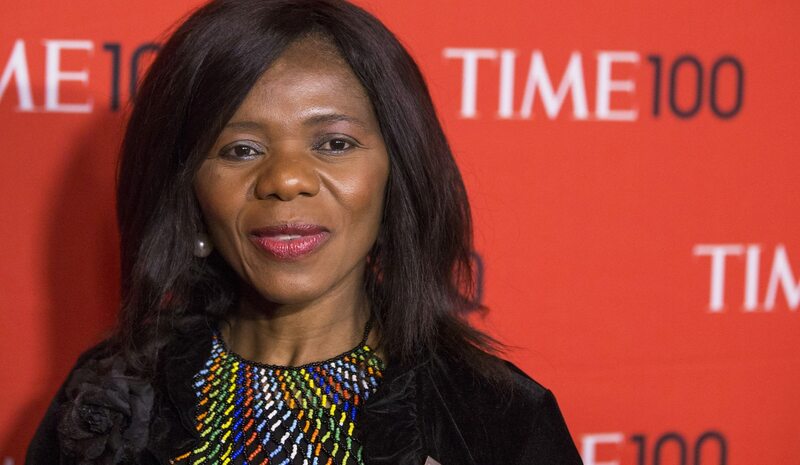 Public Protector Thuli Madonsela has voiced growing concern in recent weeks over what she sees as the progressive undermining of her position by state bodies. After the Supreme Court of Appeal’s (SCA’s) judgment on Thursday, Madonsela may be sleeping a little easier. The matter before the SCA concerned the public protector’s investigation into SABC chief operating officer Hlaudi Motsoeneng. In her final report, Madonsela had found that: his appointment as acting chief operating officer was irregular; his salary progression from R1,5-million to R2,4-million in one fiscal year was irregular; and that he had fraudulently claimed to have a matric qualification. Motsoeneng also irregularly terminated a number of senior staff members’ employment contracts, and irregularly increased a number of salaries. Madonsela found that the SABC should recover from Motsoeneng himself any money lost as a result of irregular salary increases. She wanted disciplinary action taken against him, and she wanted the communications minister and the SABC board to let her know within 30 days how they would implement her remedial measures. What did the SABC board do instead? After requesting a number of extensions in order to comply with the remedial action, they ultimately ignored Madonsela’s recommendations, and appointed Motsoeneng to permanent chief operating officer of the SABC. Communications Minister Faith Muthambi subsequently told the media that the report of an independent law firm, Mchunu Attorneys, had “cleared Mr Motsoeneng of all wrongdoing”. In court papers, Muthambi and former SABC board chairperson Ellen Tshabalala clarified that Mchunu Attorneys had been specifically tasked with “considering and investigating the veracity of the findings and recommendations by the public protector”. We still don’t know what was in that report by Mchunu Attorneys. The SABC didn’t submit a copy to the court, because its contents are “privileged”. In Muthambi’s court submission, however, she says the report “shows that the [SABC board] has not ignored the findings of the public protector”. It was in light of these events that the Democratic Alliance (DA) approached the Western Cape High Court, asking for Motsoeneng to be suspended. Madonsela was initially not part of the court action but eventually filed an affidavit in the matter because “it became clear that the main thrust of [the SABC’s] case was to discredit the public protector’s reports and the findings and remedial action taken therein”. Western Cape High Court Judge Ashton Schippers compared the public protector’s role to that of an ombudsman in Western law, saying her powers were not “adjudicative” (like those of a court or judge). As a result, he found her findings were not “binding and enforceable”, but that they simultaneously could not be rejected for irrational reasons. Because the SABC had done just this, Schippers ruled that Motsoeneng should be subjected to disciplinary proceedings – which is why the matter was taken to the SCA. The public protector publicly expressed unhappiness with Schippers’s findings about her powers, and in the papers she recently filed to join the Economic Freedom Fighters’ (EFF’s) Constitutional Court application over Nkandla, she stated that the comparison of her role to that of a mere ombudsman was inaccurate and misleading. The public protector has maintained that the Constitution vests in her sufficient power to make recommendations which cannot be ignored. The SCA agrees, pointing to the relevant legislative wording. “Instead of empowering the public protector to ‘endeavour’ to resolve a dispute, or ‘rectify any act or omission’ by simply ‘advising’ a complainant of an appropriate remedy as under the interim Constitution, the final Constitution empowers the public protector to ‘take appropriate remedial action’,” the judgment points out. This is for good reason: “It would be naïve to assume that organs of state and public officials found by the public protector to have been guilty of corruption and malfeasance in public office, will meekly accept her findings and implement her remedial measures,” the judgment states. “That is not how guilty bureaucrats in society generally respond,” it adds drily. The SCA agreed with Schippers that the public protector’s powers are not that of a court – but it said that was the wrong comparison anyway, and that all the discussion of whether her findings were “binding and enforceable” was terminologically imprecise. The judgment concluded that it was sufficient to find that the powers of the public protector should be “at least equal” to those of administrative bodies, whose findings can’t simply be ignored until a court sets them aside. Of significance is that the court found it was “impermissible” for the SABC to have embarked on a parallel process to that of the public protector by hiring Mchunu Attorneys to write a competing report. If the SABC didn’t like Madonsela’s findings, the court says, it should have challenged them by way of a review. The public protector is independent; Mchunu Attorneys, who have represented the SABC, are not. “An individual or body affected by any finding, decision or remedial action taken by the public protector is not entitled to embark on a parallel investigation process to that of the public protector, and adopt the position that the outcome of that parallel process trumps the findings, decision or remedial action taken by the public protector,” the judgment states. This would seem to have obvious resonance in the case of the public protector’s report on Nkandla, where the “parallel process” can be seen to be the investigation undertaken by the police minister which essentially exonerated President Jacob Zuma of all wrongdoing, in contrast to Madonsela’s findings. “President Zuma must face the music and simply pay back the money,” the DA said in response to Thursday’s ruling. Perhaps most affirmingly for Madonsela, the judgment unambiguously affirms the significance of her role, describing it as an “important defence against maladministration and corruption”; a “venerable” institution; and “vital to ensuring accountable and responsible government”. The Office of the Public Protector released a statement on Thursday expressing satisfaction. “The judgment confirms what the public protector has always known, which is that once she has made a decision, organs of state affected by the decision must implement [her remedial action] unless her report is successfully reviewed by a court of law,” it stated. Attempts to reach Motsoeneng were unsuccessful, while SABC spokesperson Kaizer Kganyago has indicated that the broadcaster is still studying the judgment. This isn’t the end of the road: the judgment can still be appealed. More importantly, the Constitutional Court will consider the question of the public protector’s powers separately in February when the EFF approaches it with its Nkandla application. As constitutional law expert Pierre de Vos notes, however, until then “it is not legally permissible for any person or body to ignore the findings or remedial action imposed by the public protector”.